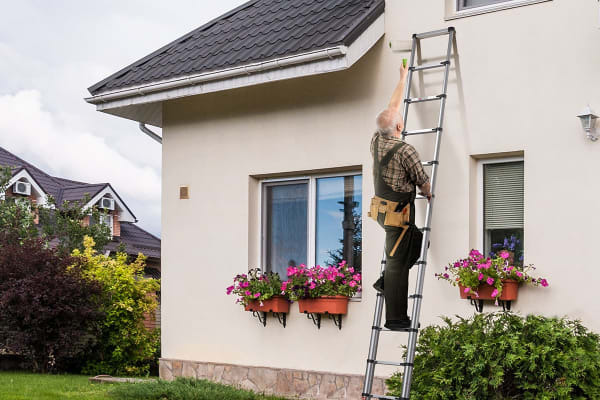 Lightweight and affordable, this telescopic ladder can incrementally extend to almost four metres in length. Thanks to the ingenious, extendable design of the Certa 3.8m Telescopic Ladder, you’ll never need to lug around a giant, heavy ladder again. Incrementally extending to almost four metres high, you’ll effortlessly reach the highest roofs and points. Once your work is done it smoothly compacts into a lightweight, portable frame sitting at just over a metre – so you can pack it up and put it away with ease! 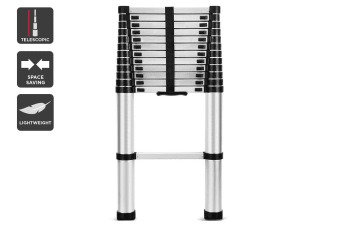 This telescopic ladder complies with Australian Safety Standards, coming equipped with rubber-tipped feet to ensure it doesn’t shift around. 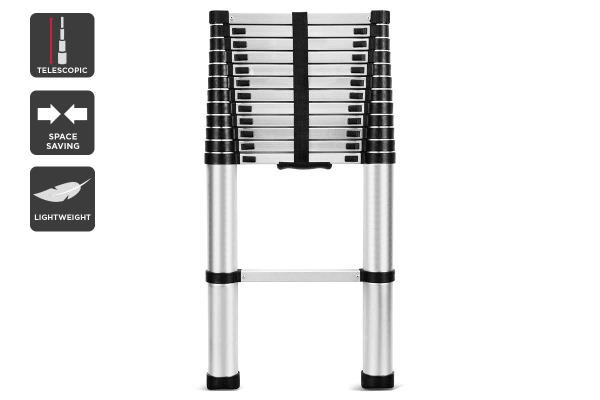 Featuring a sturdy aluminium frame which supports a 150kg load-bearing capacity, you’ll be relying on this ladder time and time again. 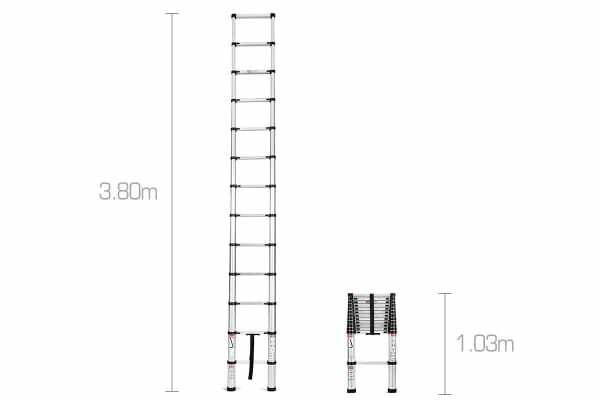 Perfect to store in any garage, office or car – this Certa 3.8m Telescopic Ladder truly rises above the competition. Product was well packaged and shows to be of good quality. I needed to get up two stories, and also up on the roof of my bus.PERFECT, PERFECT, PERFECT.